“For those that think nois.e while a player hits shouldn’t be allowed, you must also believe that fans should NEVER make noise. “A player with a large gallery jars a 70 footer for eagle to take the lead. The crowd erupts! This should not be allowed. “Why you ask? There are other golfers well within earshot of the noise. This could disrupt their game. Why does the nearby player you can see deserve the “courtesy of quiet” but the one 400 yards away that you can’t see doesn’t? “We have all seen players back off because the crowd erupted on another hole. What happens when that eruption happens in the backswing right before the player is about to transition to the downswing? Those boisterous hooligans need to keep their traps shut as this is a gentleman’s game right? Now, this flies in the face of the “isolated noise during the golf swing is extremely distracting” argument that is popularly leveled in defense of silence. But let’s see what GolfWRX members think about Stickner’s comments. What do you think, GolfWRX members? Does Stickner have a point? Should the rules of the wider sports world apply to golf, or does golf fandom require a particular understanding of when to be quiet and when to cheer? Stickner and anyone else who supports the Baba Booey BS are clueless because they obviously don’t know the first thing about how the mind works while executing a golf shot. Dimwits like them who can’t play a lick probably have 14 swing keys on the backswing and 14 swing keys on the downswing. Good players, by contrast, load a visual or kinesthetic image into their subconscious and lock onto that single image throughout the swing. Anything from a camera click to a phone ringing and especially a Baba Booey from a clueless moron clears/scrambles/replaces that image and the player will most likely hit a bad shot. They will almost certainly hit a shot less well than they would have if they didn’t have to hear the moron yell Baba Booey!, Get in the Hole! or any such nonsense. THAT is why it is inappropriate. Basketball, baseball and football are another matter altogether. Now, if in a tennis match, you had one of these morons yelling during a player’s serve he would be removed from the stands. The same needs to happen with the Baba Booey morons at golf tournaments. Hey….. the fake news reporters scream at POTUS at press conferences… so why not same for pro golfers?!! Yes, it’s the “Hey, look at me” crowd that never matured beyond nine years old that thinks this is remotely funny. As long as its AFTER the swing, ba ba booey to y’all. Boot them INSTANTLY!! If i was mid swing and some random dumb@ss yelled out some stupid sh*t after someone else near by hit a shot and it ended up costing me $50k OR MORE Id probably end up going all Shooter McGavin vs. beach ball on that persons head. The yelling out is done mostly be macho jurks who only play mini-putt and can’t break 100 on a real golf course. You can spot them easy cuz they have pot bellies. I am so sick of the worn out over used “mashed potatoes, ba ba booey, etc yelling from attendees at golf tournaments. some were funny at one time. Now idiots just yell these things so they can tel their buddies. “dude did you hear me on tv at #12!!!!? Yeah, ya moron, we ALL heard you. Have another beer, ya drunk jagoff. I say, yell it out, throw ’em out. Could a thought on the matter be more wrong? Must be a special occasion. Somebody who yells in the middle of a back swing would be doing it to purposefully disturb the player. A couple thousand fans yelling on another part of the course are not doing it for that reason. Yelling should result in immediate apprehension and the violator subjected to a breathalyzer test…I’d the test is failed, which is most likely, they should be turned over to the local police and charged with Public Intoxication. I wonder…….is he a golfer? If so, has he ever been startled by a loud noise in his backswing? If so…his reaction? Is he a golf fan or just a celebrity-watcher? Their stupid, loud, utterances also disturb surrounding fans as well as, potentially, the players. THROW THE BUMS OUT!! Agree throw the idiots out . Totally uncalled for rude inconsiderate bunch of mutts. Could hardly watch the golf or was it a circus missing wind mills and a clown to be supplied by the usga at the next open. How come this fenomenon is mainly American? To me, it seems like the ice hockey crown transfers to golf during the summer period – notorious are the drunken idiots at Ryder Cup. Look at the Open – look at European golf tournaments, or for that matter, the Asian ones – of course, there are a few screamers there, too, but generally the public applauses politely. Eject and place on all-event blacklist. How is Stickner even allowed a platform? If ONLY every tournament was ran like the Masters. The US Open was by far the worst for idiots screaming the stupid stuff. Seems most of them were there just for drinking and screaming. I’m for tossing these idiots out. People who shout baba booey and the other nonsense are acting like jerks. Period. Acting like a decent human being doesn’t make you an “elitist snob.” There were times when the 2018 US Open was almost unwatchable because of the pointless shouting of stupid things. Stop it. Just stop. throw them out! It is a sick world and getting sicker, let’s TRY to preserve Golf as different from the real world. Televised golf events are full of people who desperately want it (and everything) to be about them. There is absolutely zero correlation between the crowd cheering a putt on an adjacent hole and a drunken buffoon screaming some nonsense (or offensive) at the top of their lungs while everyone around them is silent. This is all about attention – “hey, everyone, look at me! Laugh at me! I can’t wait to get home and hear myself on TV and Howard Stern!” No different than people making stupid faces or yelling in the background of a serious newscast. Responsibility falls to poor parenting, poor education, and perhaps mostly to how our current culture and media react. The more attention they get, the more it will happen. Take a look down Pennsylvania Ave for more proof. “Baba Booey for Life B***ches”, indeed. The white trash circle will be complete when someone yells “Grab ‘Em By The P****” at an LPGA major. People do not yell baba booey for the personal attention. Howard plays the baba booey golf shouts on his show regularly. 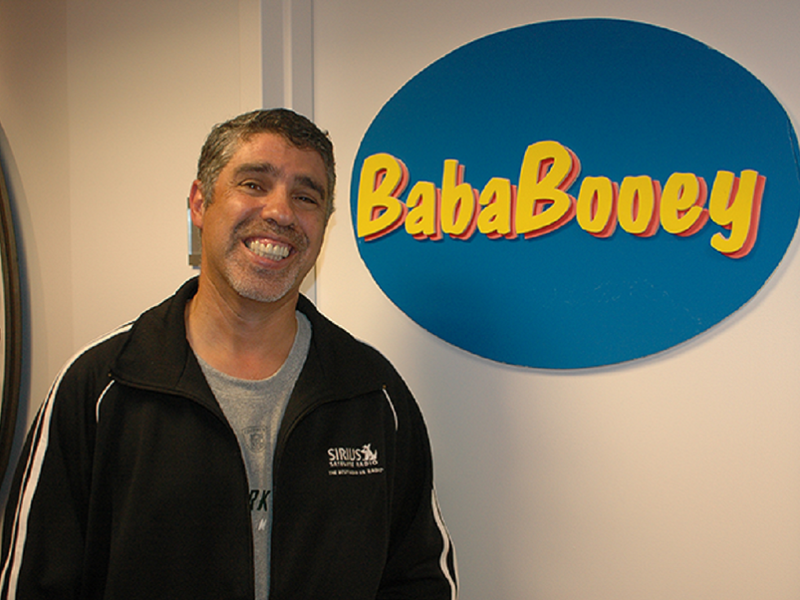 As a Stern Show fan, I say keep hitting ’em with the Hein and a baba booey to you all. Ejection, Castration and placed in a fire ant pile until death. I agree with Eagle1997. I am in favor of the “bababooey” ejection.